Stephanie Azaria is the pioneer and sole provider of 5D Astrology and Lead as Love gets to support this Love Leader! 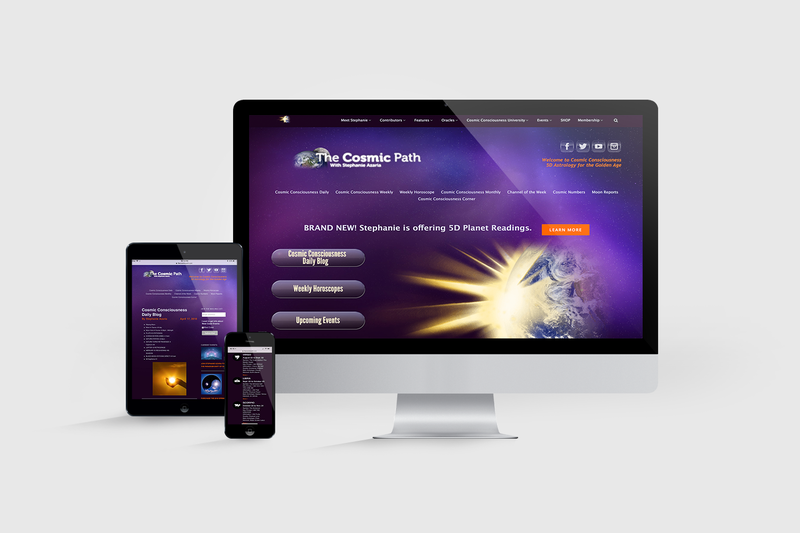 Each and every mission we serve amazes us, and The Cosmic Path is at the top of that list. 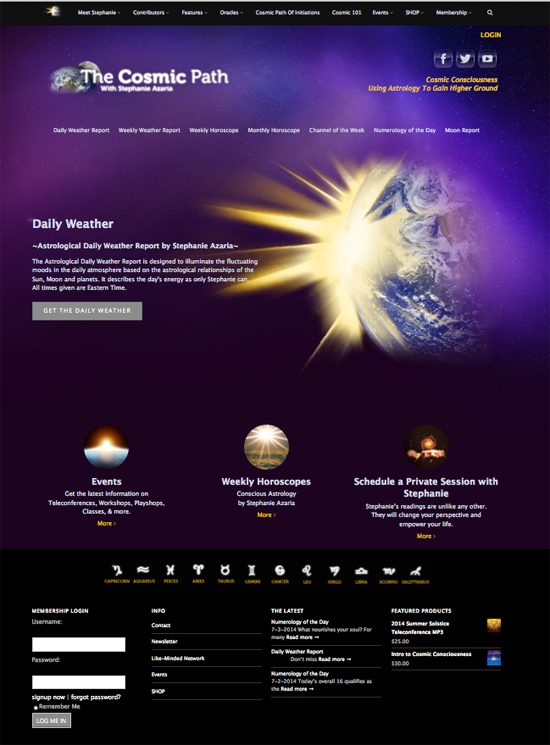 This is a membership website that we built and fully manage. We integrated event and webinar software and operate on-site E-Commerce. Stephanie’s lifetime of astrological study (beginning at the age of 9), her fifty years as a professional astrologer, and her devoted journey to the spiritual Path has produced a whole new approach to astrology, which she has dubbed Cosmic Consciousness. Her work is designed to bring humanity into greater alignment with the new consciousness that has been accessed during the course of the last few decades. Stephanie has pioneered this entirely new astrological system and is now ready to share it with the world.